It is common knowledge that Technology and Equipment are in a constant state of change. Businesses in South Africa have to deal with the reality of reduced budgets, higher interest rates and increased demands on their IT, Human Resources and Procurement departments. In a nutshell, a rental is a cost-effective method of utilising equipment without having to initially outlay the purchase price of the equipment. It is a form of acquiring equipment and software in which capital expenditures are kept off of the balance sheet. Organisations will often use off balance-sheet financing to keep their debt to equity (D/E) and leverage ratios low, especially if the inclusion of a large expenditure would break negative debt covenants. In contrast to loans, debt and equity – which do appear on the balance sheet, operating rentals are one of the most common forms of off-balance-sheet financing. Rentals provide for such an eventuality, affording the client the option to buy/upgrade equipment through innovative renewal / upgrade programmes, thereby providing for future technology solutions, while staying abreast with the latest technology. Rentals allow redirecting capital expenditure towards “core” assets that will benefit the organisation’s financials with the use of the correct Time and Attendance solutions in the appropriate manner to save on their salary expenditure. Internationally, it has become a trend to replace the purchase of hardware with more flexible rental options, thereby keeping up to date with equipment upgrades as they occur. Rental plays an increasingly important role in the acquisition of office equipment, allowing businesses to keep up with the latest technology and address future needs while reducing maintenance and upgrade costs. 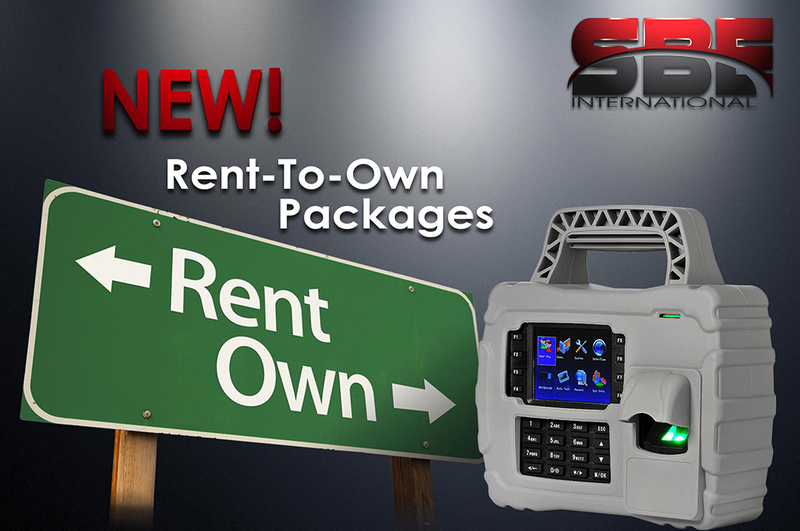 Payments and Equipment are 100% tax deductible as an operating expense. There are no depreciation charges, no asset inflation on the balance sheet (off-balance sheet item) and no initial high capex. Flexibility options to upgrade, replace or add. Software is included into a Rental agreement. No annual licencing fees on software. Free up working capital to reinvest into the growth of their business. The effective interest rate throughout the rental term is fixed, with 1 escalation. Clients do not have to maintain a fixed asset register or depreciation schedules. Roll-out lead time is shortened as budgetary constraints are removed.